Are you wondering what to watch on Hotstar? We must agree when we have so many great options it is overwhelming to make an ideal choice. 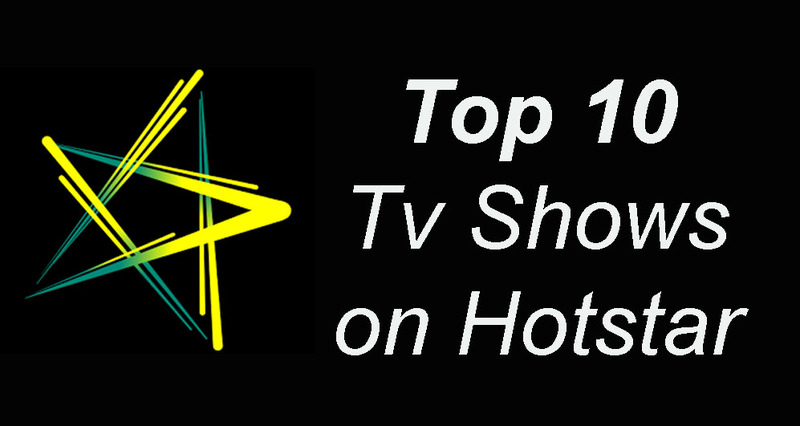 Well, in this article we have highlighted top 10 Indian TV shows you can watch on Hotstar application. Yeh Hai Mohabbatein is a famous Indian Television Romantic drama which is based on Manju Kapoor’s novel, Custody. The TV series showcases the life of Raman Bhalla, an arrogant character, whose first marriage fails but later on comes in contact with an innocent girl from his society, Ishita Iyer through his daughter, Ruhi.In general, this TV show deals with issues like re-marriage, divorce, marriage life, society, infertility, etc. It had two seasons and was first hosted in the year 2013. Yeh Rishta Kya Kehlaata Hai is an Indian drama series which is set up in Udaipur. The series revolves around the life of Akshara and Natik who undergo an arranged marriage. The further events follow the changes that take place in their life and the family challenges they face. The show focuses on the values of Indian relations in a susceptible way and brings out the best in them. The first episode was aired on 1st January 2010 and continues till now. Well, if you have a good orientation towards Indian mythology and you want inspiration to your spiritual side you must watch Mahadev on Hotstar app. Mahadev TV series is based on the tale of “Shiv” & “Sati / Parvati,” the parents of the universe, according to Indian mythology. The series is a great tribute to Indian philosophy as you can get an opportunity to watch the stunning story of Lord Shiva and his avatars. You may also Like: Clash Royale Chest cycle-How does chest cycle work? This is a family story of an unbreakable bond between three brothers Shivaay, Omkara and Rudra. All of them face challenges due to the differences between their contrasting personalities. You can witness some of the amazing moments and awesome performances of the cast in this TV serial. The show was first aired on June 2016 and runs successfully till date. The Sarabhai vs. Sarabhai is an Indian comedy TV series featuring Ratna Pathak Shah who belongs to a High Society family in South Bombay. The storylines become awesome when his elder son gets married with a middle-class girl Manisha who has a typical middle-class mentality of saving money and don’t appreciate Maya’s snobbish behavior. Her elder brother writes funny poetry, and the whole show entertains the audience to the fullest. The series has two seasons the first was aired back in 2004 and the recent one in 2017. You can watch all the episodes on Hotstar app. Dance+ is an Indian reality Dance show in which contestants from various parts of India compete with each other through dance challenges in the show. This 3rd season was aired on 1st July in which the Dance guru Remo D Souza took the whole show on a new level. The contestants now had to compete with his squad. The captains in the show are Shakti Mohan, Dharmesh Sir, and Puneet Pathak and the show has an entertaining host Raghav Juyal. Naamkarann is an Indian TV series that portrays the perfect blend of Romance and drama through its amazing storyline. It is a must watch Drama TV series on Hotstar as it gears up interesting follow-up sequences that keep its viewers awed the whole time. Mahabharat is another TV masterpiece based on Indian mythology of the rivalry between 100 Pandavas and 5 Kauravas driven by the strategies of Lord Krishna in the famous historic War of Kurukshetra. The show depicts the Indian culture, ethics, and other aspects through its engrossing characters in a brilliant way. It is a historical drama based on the love story of the famous Chandra Gupta Maurya a famous warrior who united the Indian subcontinent and Nandini who is the daughter of his biggest enemy. All the characters are awesomely cast, and the dialogues take the storyline to whole different interesting level. You can even have a binge of some old classic famous TV shows such as Kasauti Zindagi Ki, Kyuki Saas Bhi Kabhi Bahu Thi, watch movies, Live cricket and catch awesome content on Hotstar app.